Battle Tales - the very first fairy tale RPG battle game, is here for you! Cinderella stole Prince Charming? Why is Snow White carrying an arch and arrows? - [Adventure PVE]: Normal and elite stages are filled with generously rewarding tasks for you to discover and complete. - [Arena PVP]: the Arena is a competitive place to win battles and fill you with honor and pride. - [Peak Loot]: Pick a rival of similar competence, loot their divine equipment pieces and forge new ones of your own. - [Tower of Magical Vines]: Challenge the monsters of the magical vines, and get Gold and Magical Crystals as rewards. - [Dancing Party]: Have a blind date with a princess or prince! Take a break from battles and enjoy some dances and flowers, and get some Gold and Diamonds along the way. - [Guild Clash]: Lead your guild to battle against rivals, conquer fortresses, and expand your territories. 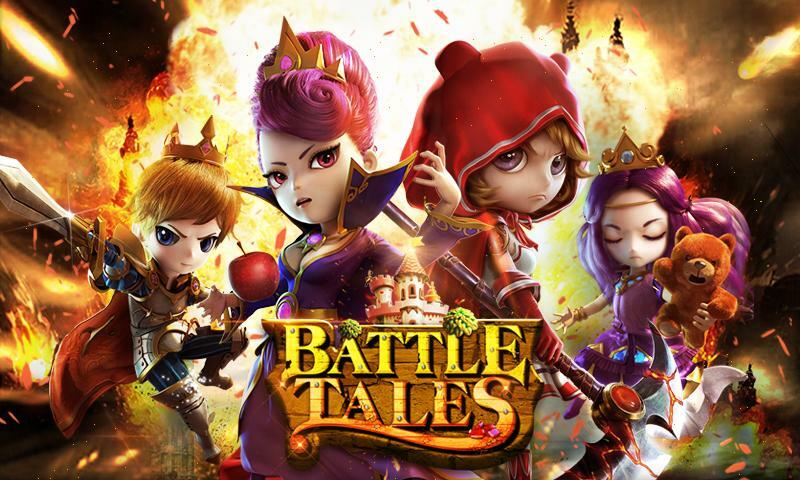 Battle Tales: install APK and play the game.